It looks like the Hybrid version of the Kyrie is releasing after all for the general public to enjoy them as well. 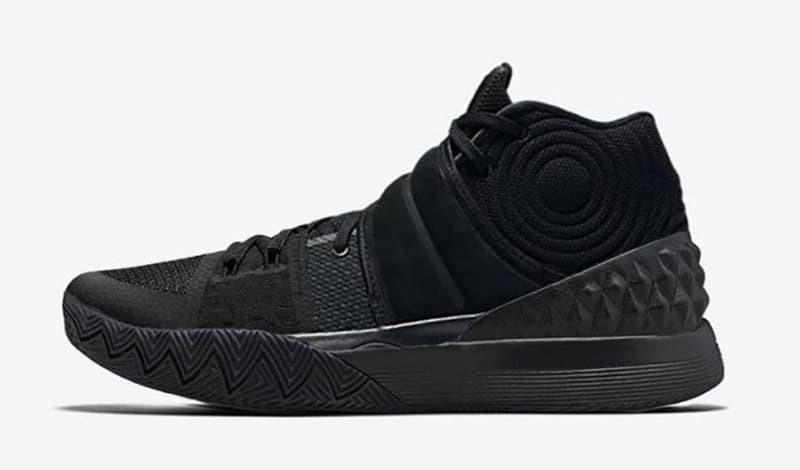 First seen on Kyrie's first game as a Celtic, this hybrid shoe shares the midsole and outsole tooling including the heel counter of the Kyrie 1, the midfoot strap of the Kyrie 2 and forefoot tooling of the Kyrie 2 where the Flywire lacing system is located. The image above just shows an all-black colorway but let's see if there will be a different colorway when it releases. Speaking of release date, this is rumored to be in store shelves on November 15 so let's see if what the shoe will look like in shelves. Also, we don't have a word yet with regards to cushion tech. The Kyrie 1 has a forefoot Zoom Air while the 2 and 3 have a heel Zoom Air. This is a hybrid shoe, so I wonder what will it be. Who knows, we might get heel and forefoot Zoom Air (fingers crossed).